Sitecore Community Network: Discuss tips, tricks, techniques, and solutions for every-day scenarios when working with the Sitecore Experience Platform. Sitecore Developer Network : Sitecore technical hub which is having technical documentation, tool downloads, code snippets, reference documents till Sitecore version 7.5. Sitecore Developer Forum : The developer forum is an active online developer community of Sitecore users, trained developers, certified partners and Sitecore staff members. Sitecore Experience Platform Documentation : You will find all new documentation for Sitecore Experience Platform on this website. Sitecore Knowledge Base Website : Sitecore Knowledge Base site provides access to multiple documented known issues, how-to articles, and security bulletins published by Sitecore. Sitecore Developer Portal : Starting with Sitecore Experience Platform 8 all Sitecore related technical information, release notes and product downloads will be available only on Sitecore developer portal. Sitecore Marketplace : Extend Sitecore with available open source modules or contribute your own modules to the community. Manage Sitecore Profile: Manage your Sitecore profile across all *.Sitecore.net sites. Sitecore Official Training : Sitecore Training website addresses the learning needs of all types of Sitecore users, from developers and administrators, to business users and marketers. Sitecore Regional Office : Find contact information about your local/regional Sitecore office. Sitecore Community on GitHub : Sitecore Community on GitHub consists code samples and contrib projects. Sitecore Partner Network : Sitecore technical hub for Sitecore certified partners. Sitecore Resource Library : This resource library contains various learning resources like analyst reports, whitepapers, recorded webinars, videos, product vouchers and many more! Sitecore Business Blogs : Various Sitecore business blogs related to digital marketing, digital customer experience etc. Sitecore Technical Blogs : Sitecore technical blogs written by Sitecore technical community experts and Sitecore development team. 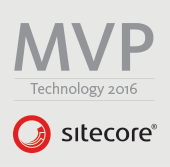 Sitecore Best Practice Blogs : Expert advice from the Sitecore Best Practice Community. Sitecore Blog Feed : Subscribe to feed of 130+ related blogs and 1000+ posts related to Sitecore to keep you informed. Sitecore Events and Webinars : Find Sitecore live events and register for upcoming webinars. Sitecore Community Driven Documentation : Community-driven collection of developer resources - including blogs, videos, references, and articles. Sitecore Support Helpdesk : Access to Sitecore Support is offered through the Sitecore Support Portal. Sitecore Support Repository : Sitecore support respository contains patches with source code, bug fixes and sample customizations. Sitecore Compatibility Guide : This guide presents various Sitecore compatibility tables and similar useful articles. Sitecore Compatibility Table : This table presents Sitecore CMS and Sitecore XP compatibility with different browsers, operating systems, .NET frameworks and database servers. ASP.NET MVC Compatibility Table : This table presents Sitecore Modules compatibility with different versions of ASP.NET MVC. Sitecore Modules Compatibility Table : This table presents the compatibility of Sitecore Modules with different Sitecore CMS versions. Sitecore Commerce Compatibility Table : This table presents the compatibility of different Sitecore CMS/XP versions with different Sitecore Commerce and Sitecore Commerce Connect versions. Sitecore Azure Compatibility Table : This table presents the compatibility of Sitecore Modules with different versions of Sitecore Azure. Microsoft Azure SDK Compatibility Table : This table presents Sitecore Azure module compatibility with different versions of Microsoft Azure SDK. Solr Compatibility Table : This table presents compatibility of different Sitecore CMS/XP versions with different Solr versions.